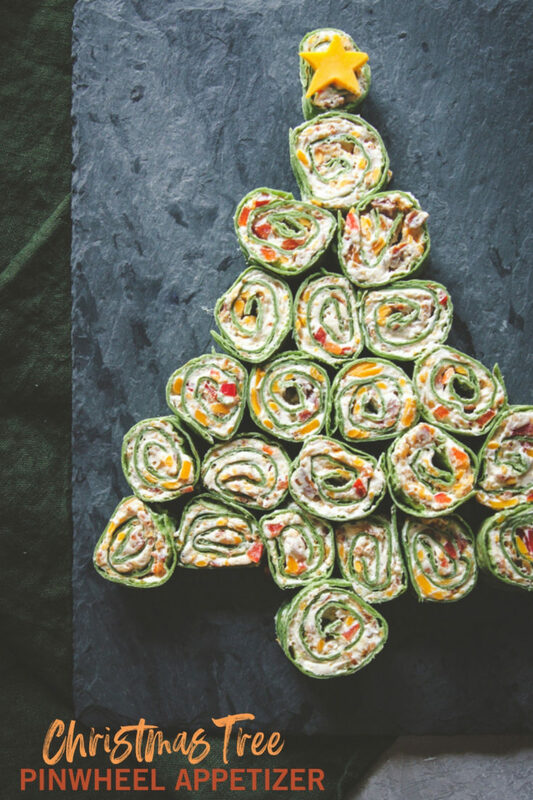 I can’t even tell you how tasty this super simple Christmas tree shaped appetizer is – they’re cheddar bacon ranch pinwheel wraps and I could seriously eat the whole tray! The colors in this Christmas appetizer recipe make it the perfect food for your holiday parties. 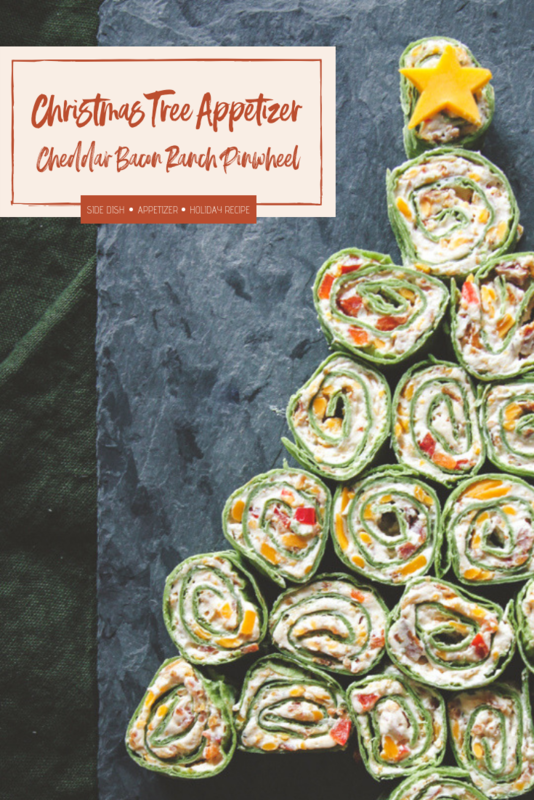 I feel like I’m always hosting something around the holidays so I have a feeling I’ll be making these cheddar bacon ranch pinwheel wraps more than once in the next month. Plus, my expert taste-tester, Nick, gives them two thumbs up! 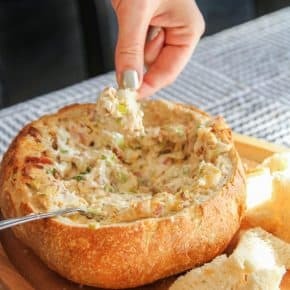 I don’t know about you, but I have a few staple recipes that I always go to when I need a good appetizer for a party. I’ve shared some of them below in hopes of helping to make your holiday party planning a touch less stressful! 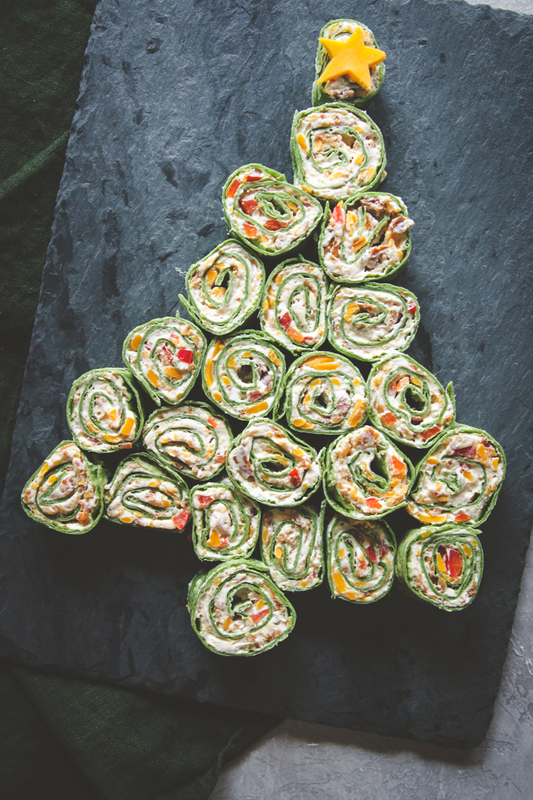 These Christmas tree pinwheel wraps are the perfect savory treat among all of sweet goodies around the house. I mean, I love sweets as much as anyone else, but occasionally I need a break. The most important thing is to get that bacon cooked ahead of time. That’s the most time consuming part of this whole thing and we all know how quickly bacon cooks! A little tip is to slice the raw bacon up into small pieces before putting it into the pan. It tends to cook faster and more evenly that way. You really want crispy bacon for these pinwheels. 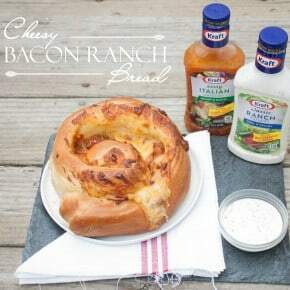 Once the bacon is done, simply mix cream cheese and a ranch dip mix together. Then mix in peppers and cheese and spread it onto tortillas and roll roll roll! 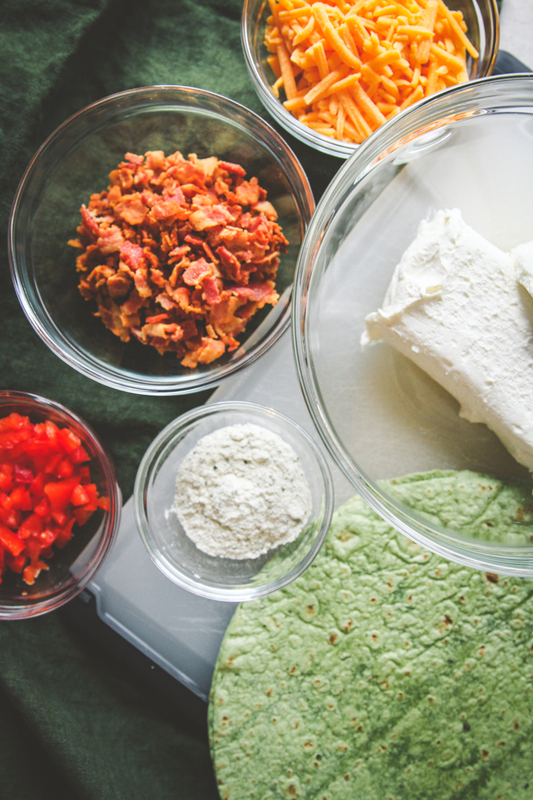 Spread the cream cheese mixture onto the tortilla and roll up tightly. 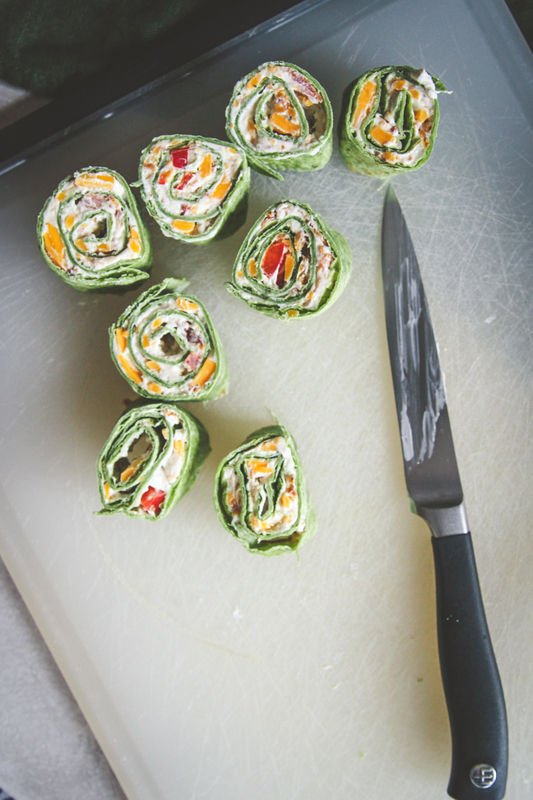 Slice the rollup into even sections (each 1-1 1/2 inches wide) and arrange to look like a Christmas tree. One tip is to be sure the filling is as close to the edge as possible. This will help ensure even filling in each bite. The tighter they are rolled, the odds are less that they will fall apart. Start by cooking the bacon. Slice raw bacon into small pieces and put into pan. Cook for approximately 5 minutes or until just crispy, using a slotted spoon transfer to a paper towel lined plate to drain and cool. Using a hand or stand mixer beat the cream cheese and sour cream together. Add powdered ranch mix and blend until smooth. 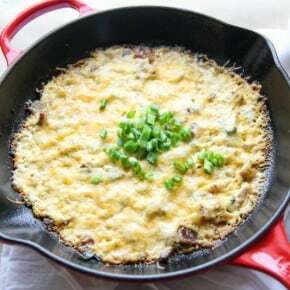 Add in shredded cheese, bacon and peppers and mix until combined. 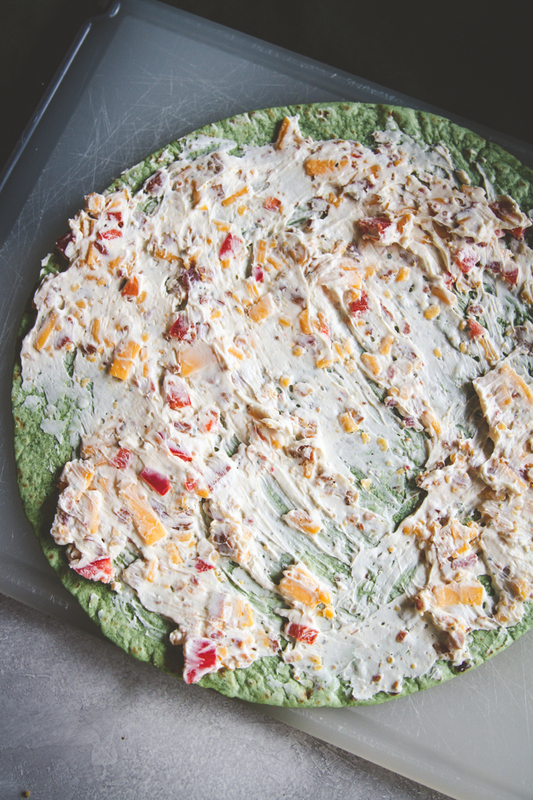 Lay spinach tortilla on a flat surface. Spread cream cheese mixture all the way to the edges of the tortilla. Roll tortilla tightly. To seal the tortilla closed, use a small amount of the cream cheese mixture. Arrange as a Christmas tree on a flat board. 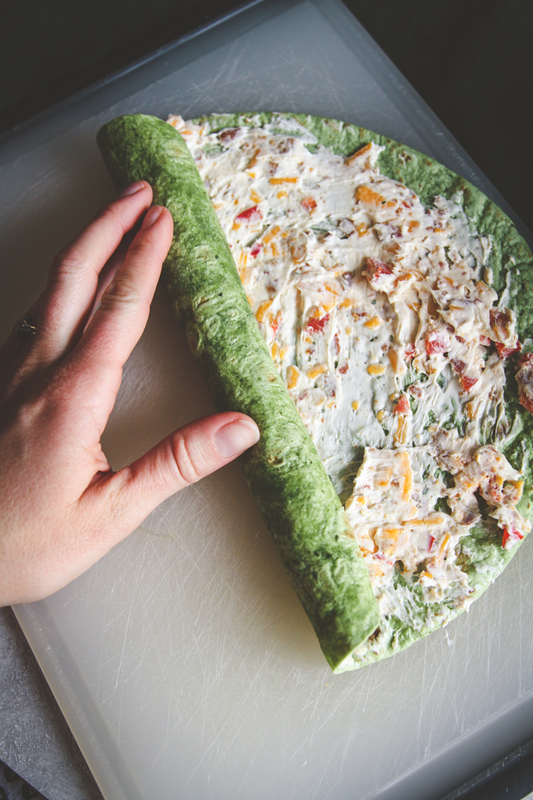 You can, of course, enjoy this appetizer with any type of tortilla, but the spinach wrap gives it that extra touch of flavor and the festive green color for all of your Christmas parties!